That's right! If you’re planning to attend the I Teach K! Conference in sunny Las Vegas, Nevada next month, why not take a selfie with Elvis? It's easy to do while you're at the conference. 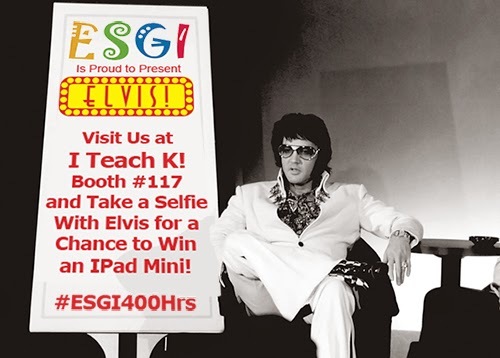 Head over to the ESGI Software Booth #117 and take a photo of yourself or your group with the King of Rock and Roll. Make sure that the ESGI 400 Hours Banner is clearly displayed in the background, then publicly post it to your Facebook, Instagram or Twitter account labeled with #ESGI400Hrs for a chance to win an IPad Mini. Winner of the ESGI Selfie with Elvis Contest will be announced at noon on Thursday. Imagine yourself curled up on the couch with that new book you've been itching to read or getting your running buddies together and taking a jog down your favorite path. What if you actually had the time to go home early more often to enjoy a nice dinner with your family? Does that sound impossible? Well, it's not! Teachers everywhere tell us how they save around 400 hours per year with ESGI's solutions. So our question to you is: What would you do with 400 extra hours every year? 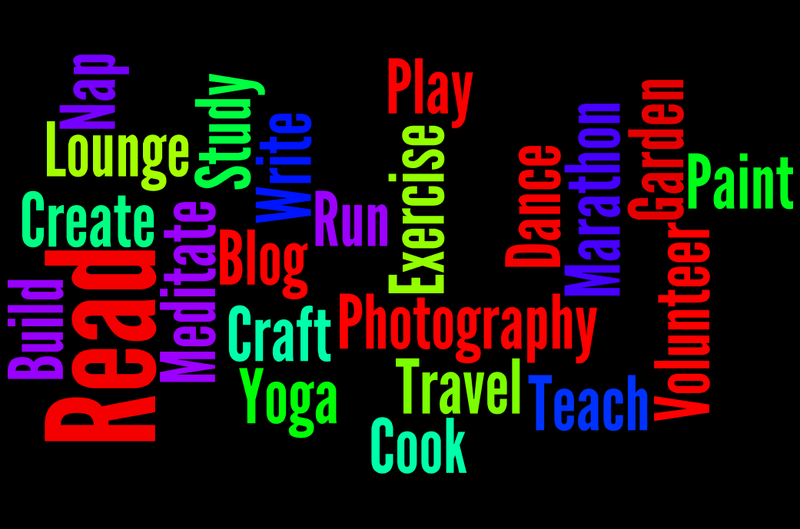 Would you start a new sewing project, take an art class, learn to play the guitar, or spend more time with your family? What you decide to do with your extra time is up to you. Helping you gain that time is what we do! Be sure to visit us at the I Teach K 2014 Conference in booth #117 in Las Vegas, NV on July 7th-10th to learn about all of the NEW ESGI features and resources, and our ongoing commitment to help teachers save time! Class Management Tool - Free until 6-30-15! We are excited to launch a new tool to help you save even more time! You may have noticed a new button at the top of your ESGI home screen called the Class Management Tool. Teachers have so much information to track during the year! Class Management Tool (CMT) was created to help teachers track class lists of information, and automate other tasks elementary teachers complete every year, all in one place. With your students loaded into CMT, you can create a list for anything you track, such as bus numbers, bus stops, comments, notes, grades, homework, which students turned in permission slips, or whatever you want to track. You can also generate name cards, table name plates, cubby name tags, pocket chart names, name tags for field trips, and personalized​ name-tracing pages. You must be logged into your ESGI account in order to see the CMT button on the top right. When you click on the CMT button, you will see a feedback link at the top. We really value your feedback regarding CMT! Please use this direct feedback link for any comments. Here is an intro video that showcases the current features of the program. We hope that you find the Class Management Tool to be a valuable time saving device for your classroom! 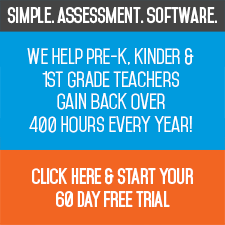 Free Webinar and New Pre-K Assessments from Pre-K Pages! HeidiSongs, Mrs. Wills' Kindergarten & Smart Kids Partner with ESGI!